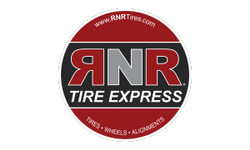 RNR Tire Express is a national franchise retailer of quality tires and custom wheels offered with convenient, no credit hassle payment plans designed to fit each client’s unique budgets. Established in 2000 by rent-to-own veteran, Larry Sutton, RNR has grown to 116 locations in 22 states. For the third year in a row, the brand was listed as the No. 1 in category for wheels and tires in Entrepreneur Magazine’s 2018 Franchise 500 list and also took home the No. 202 spot on the annual ranking. RNR was also recognized by Inc. magazine as one of America’s fastest-growing private companies as well as honored by Franchise Times magazine as one of the nation’s top 500 largest franchises in 2018. The brand owns two spots on Tire Business’ 2017 Annual Report coming in at No. 15 for total revenue and No. 18 for total locations. RNR Tire Express is seeking qualified multi-unit franchisees to expand even further nationally with prime markets available throughout the country. For more information about RNR, or to inquire about franchise opportunities, visit www.RNRfranchise.com. When you consider any franchise—one of the first steps is to evaluate the industry and the overall opportunity within the industry. Americans will spend over $250 billion on tires and auto services with over $38 Billion of that being spent on annual replacement of tires. RNR provides consumers multiple payment options—which significantly improves our market share in the retail tire and wheel sector. Many of our competitors will retail tires and wheels — but very few will provide pay as you go payment options. RNR has been the category leader and is Ranked #1 by Entrepreneur Magazine in the Tire and Wheels franchise sector. With over 115 locations opened and 20 in development RNR provides a franchisee the benefit of multiple revenue streams and a healthy ROI by offering customers Pay in Full retail and Pay-To-Go payment options. RNR provides comprehensive training for owners, managers and employees through RNR University.